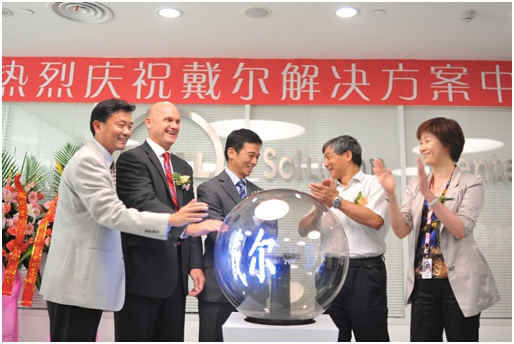 The first of four global Dell Solution Centers planned for the APJ region was officially launched in Shanghai this week. We announced a $1bn investment in the development and implementation of solutions and services on April 7th and the global Dell Solution Centers are a key part of this initiative. Twelve centers will open this year and the Shanghai center is the first to be launched in APJ. We were delighted to be joined by a number of customers and partners for our launch event which took place on June 28th. The Solution Center was officially opened by Alex Yung, VP, GM of Greater China LE, and Mr. Wang Yuelin, Deputy Director of the Chinese People’s Political Consultative Conference of Changning District, Shanghai. Also speaking at the event was Lee Morgan, Executive Director, Dell Solution Centers who had travelled from the US to attend this event and who described the value that Dell Solution Centers bring to our customers. Mr. Wang also addressed the guests, recognizing Dell’s great efforts and achievements in the IT industry. 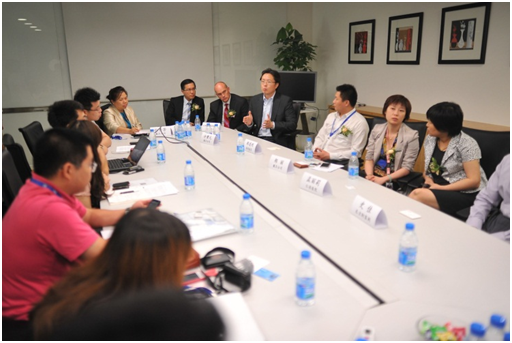 Following the formalities, we invited our customers and partners to participate in a media roundtable discussion. The key discussion topic was the challenges CIOs face today, and how we are committed to providing solutions for our customers that address their business needs, improve IT efficiency and achieve the best return on their investment. Joining in the celebration and discussion were customers from Spring Airline, Shanghai Pharmaceutical, Renji Hospital and Eastmoney.com participate, as well as our partners from Microsoft and UNIS Vitova. The event also included a live demo of our Vertical Desktop Solution, which is a key focus area for the team in Shanghai and was a great opportunity for customers to experience this solution in person. A number of centers are now open for business: the Limerick Solution Center launched earlier this month and our centers in Singapore, Frankfurt, Austin, Washington DC and Chicago are all now open for customer engagements. Further centers in Paris and Tokyo will open later in the summer, with Sydney, New York City and Sao Paulo opening later in the second half of the year. You can learn more about Dell Solution Centers at Dell.com/solutioncenters.